KATHMANDU, Jan 23: The Meteorological Forecasting Division (MFD) has predicted that the various parts of the country will witness partial to normal rainfall throughout the day today. Shanti Kadel, a meteorologist at the MFD, told Republica Online on Wednesday morning that various parts of the country will witness moderate rainfall in the afternoon, evening and tonight. Kadel predicted that the weather condition will witness some improvements from Thursday morning. Various parts of the country, mainly the hilly and mountainous districts, have been witnessing heavy snowfall for the past few days. "There is a possibility of heavy snowfall and rainfall in the mountainous region for the next few days," Kadel said. "There has been heavy snowfall in Dadeldhura, Humla and other parts of the hill region for the past few days," Kadel said. The division stated that the westerly winds that entered Nepal via the far-western region from neighboring India have prevailed over many parts. The rain triggered by the western disturbance will invite light rainfall and snowfall in most of the parts of the country except the Terai plains, according to the Division. 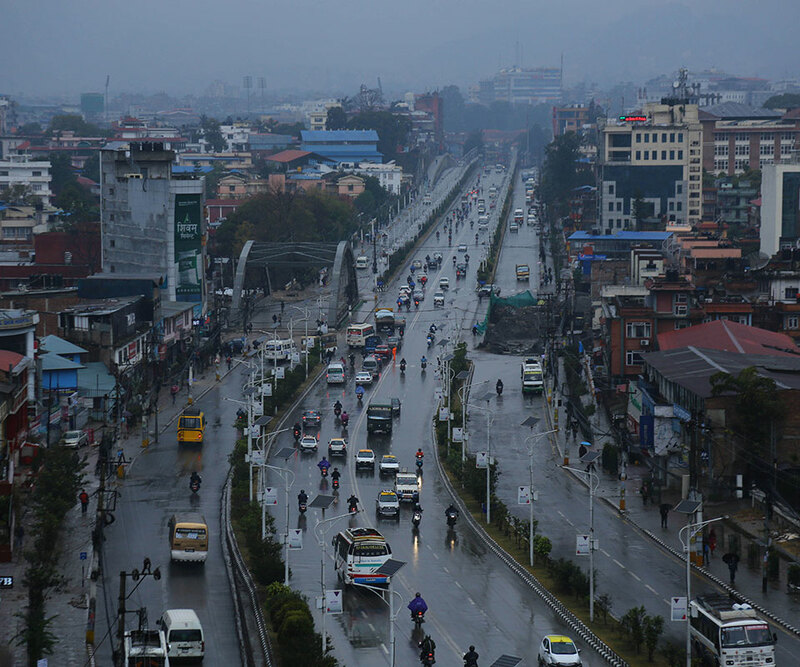 With moderate rain, folks in Kathmandu have been witnessing a steady decline in the temperature since early Wednesday morning.